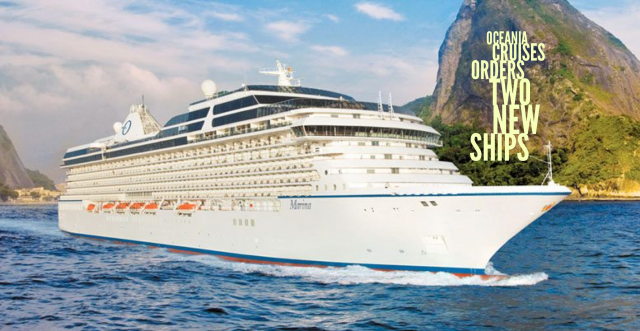 Oceania Cruises announced an order for two new ships from Fincantieri S.p.A. The ships will be delivered in 2022 and 2025. The two 67,000 gross ton Allura-Class ships will each accommodate approximately 1,200 guests. This new class of mid-size cruise vessels will retain all the design elements, and amenities of Marina and Riviera while affording guests an additional level of comfort, convenience, and many new luxury amenities. The contract price for each of the two vessels is approximately €575 million per ship. The Company has obtained export credit financing with favorable terms to fund 80 percent of the contract price of each ship, subject to certain Italian government approvals.